As sculptor and architect Eero Saarinen's work appears to seamlessly adapt to directions of the International Style and Expressionism. Saarinen's collaboration with Charles Eames resulted in a series of prize-winning furniture designs including the Museum of Modern Art's 1940 Organic Design in Home Furnishings" competition. 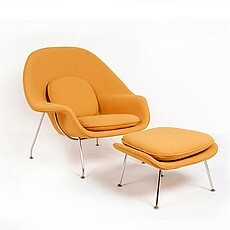 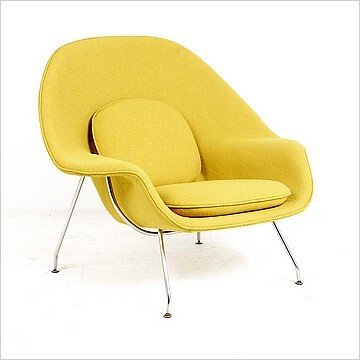 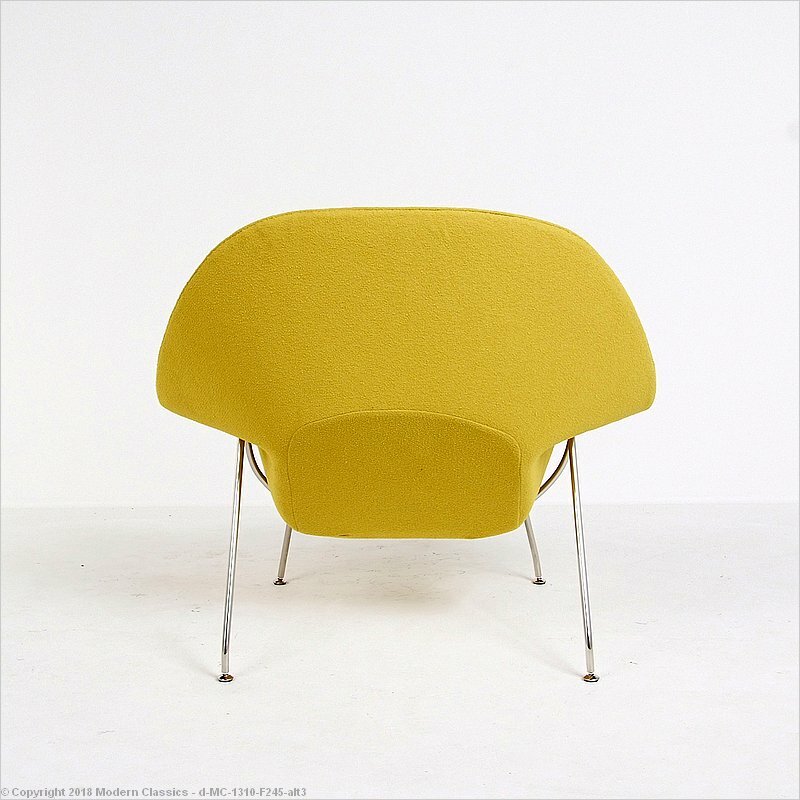 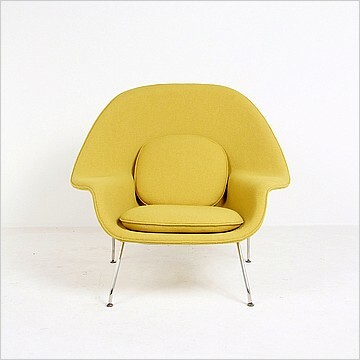 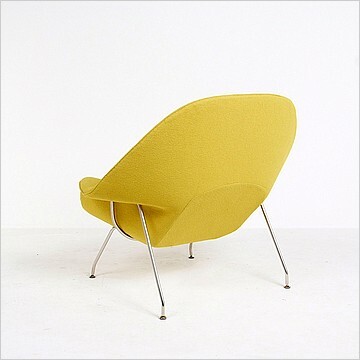 The Model 70 Chair, which became to be known as the "Womb Chair", was designed by Eero Saarinen in 1948 and is considered among the ten best mid-century modern furniture designs. Chairs from this era were known for their form, function and flamboyance. They were more comfortable than their Bauhaus modern predecessors, as they were essentially created for "lounging" - a new activity for the 1950's. 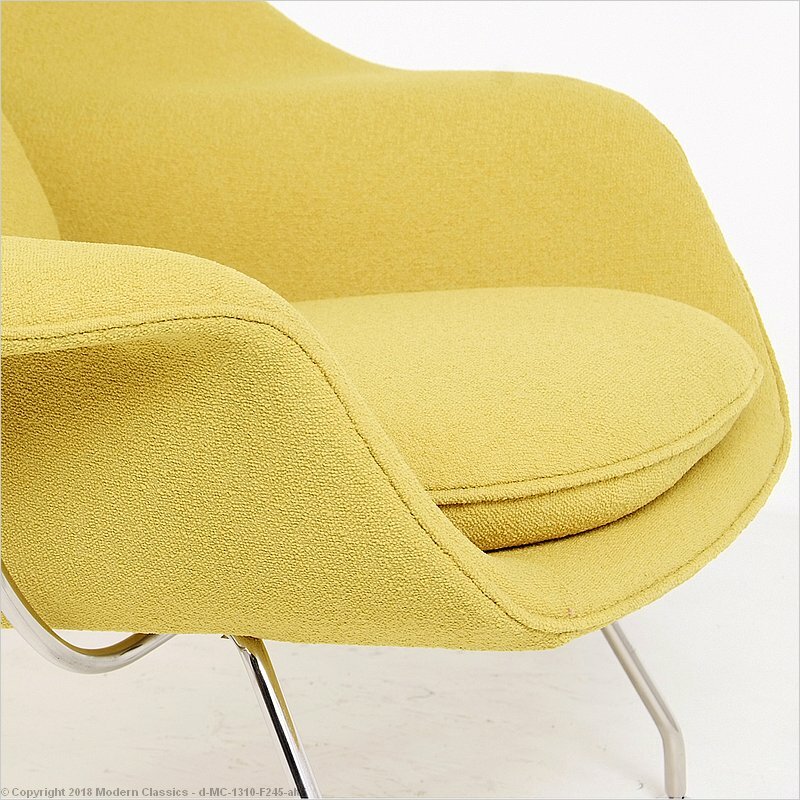 Our Model 70 Lounge Chair is inspired by the Womb Chair is faithful to the original design, with a few minor differences. For instance, we use a molded fiber-reinforced internal shell, not a plastic shell, then sculpt the North America sourced foam over that. 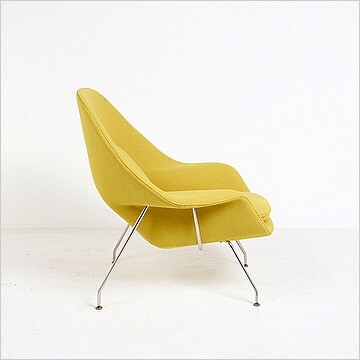 Our legs are stainless steel, not chrome plated steel. 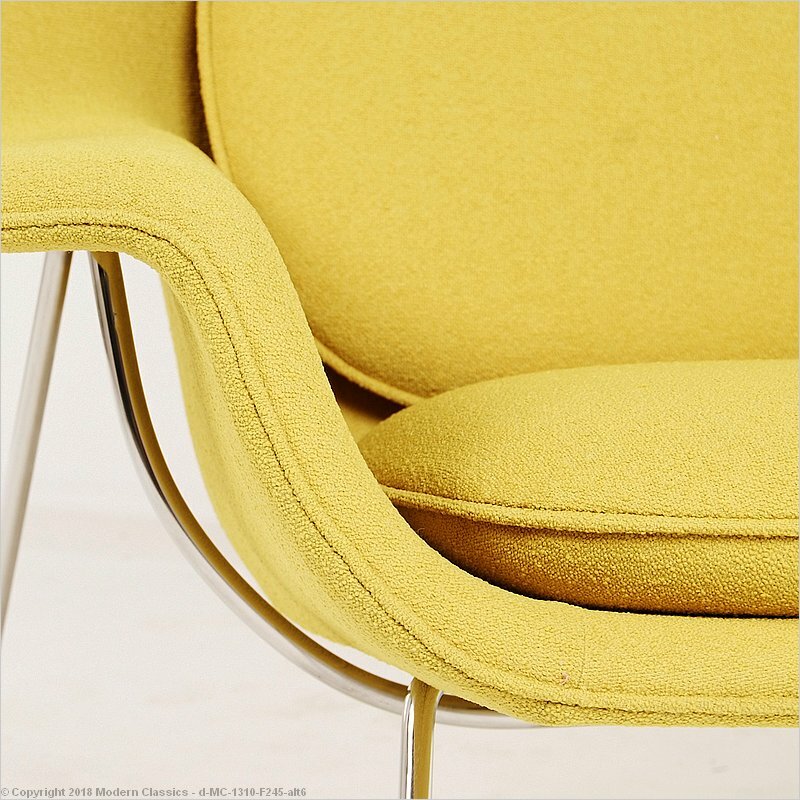 Our upholstery is what sets our version apart from all others on the market. Our fabric is made in North America, and is 100% polyester made from recycled plastic. 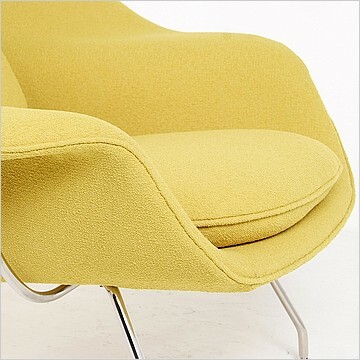 This fabric is a textured or boucle surface and is extremely durable (250K double rubs) and is water and stain resistant. Presented below are the similar products that are in stock in Bellingham and ready to ship.